When I recently stumbled upon this quote, a light bulb went off in my head. Working with many different companies and people, I am constantly asked how to improve team cohesiveness. While there are many solutions, the answer can at times be as simple as helping employees gain self-awareness and foster an empathic work environment where differences are not only understood but valued. Sounds easier said than done, right? Moving out of the garden and into the workplace to explore this further, I will share an example. Our “lettuce”, let’s call him Mark, is an individual on a team who is struggling to perform. When someone struggles at work, blame is often placed on the individual without considering what other factors may be contributing to the poor performance. In this situation, we uncover that Mark is naturally high in patience and likes to take his time to process information and handle one task before moving to the next. He feels very uncomfortable and struggles in a fast-paced environment surrounded by colleagues who are energized by juggling multiple priorities and change which is the current state of his organization. In situations like this, it’s not just about looking at the individual who is struggling, but the entire team could also benefit from expanding their self-awareness. Using tools like the Predictive Index (PI) behavioral assessment can help individuals and teams better understand what drives and motivates them personally and can help foster empathy for others who have different needs and perspectives. Let’s take a deeper look into how this works. By definition, self-awareness is the conscious knowledge of one’s own character, feelings, motivations and desires. Empathy, on the other hand, is the ability to feel like you understand and share another person’s experiences and emotions or the ability to share someone else’s feelings. So, thinking back to our “lettuce”, if a team isn’t cohesive, is struggling to communicate or is not effectively working together, in essence “not growing”, it’s important to remember that every team is made up of individuals with different needs and drives. 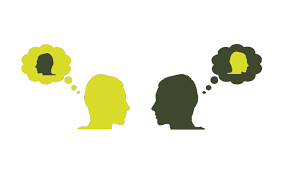 If the individual team members lack self-awareness, they may lack the ability to understand what they need to be successful and empathize with other’s feelings. The good news is once individuals are aware of what makes them who they are, similarities and differences become clearer and empathy often follows. Looking at and creating team metrics is another great opportunity to help facilitate discussion and create shared goals. We have lead many team facilitations using these metrics. With this in mind, if Mark’s team is primarily made up of people who like to work quickly, gaining self-awareness could help them to more easily understand how Mark feels when surrounded by a team with needs that differ from his. This awareness could also lead to small adjustments in the way work is distributed to Mark and even the realization that Mark’s high patience is exactly what they need to avoid making rushed decisions and costly mistakes. Clearly self-awareness and empathy work together hand-in-hand and play a very important role in individual as well as team success. MCG Partners a woman-owned, Greater Boston-based consultancy specializing in executive coaching, leadership development, talent management, and organizational development solutions. We help businesses optimize success through the entire management life-cycle. MCG Partners is also a Predictive Index® (PI®) certified partner. Erinne is the Director of Client Services for MCG Partners. 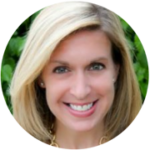 Erinne provides advisory and consulting services, delivers customized training programs and assists our PI® clients with talent management, selection, onboarding, team building, management effectiveness and performance management needs. Erinne brings over 20 years of human resource expertise including professional development, coaching, talent acquisition, on-boarding, training, and performance management.